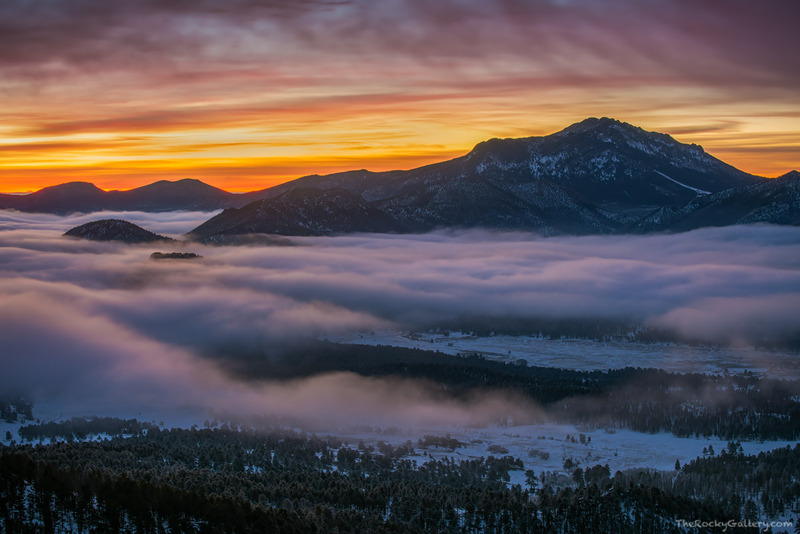 The Twin Sisters stand above the fog layer that has ensconced all of the lower elevations of Rocky Mountain National Park as an upslope February weather system settles in over the Front Range of Colorado. Moraine Park and Upper Beaver Meadows can be seen on the edge of the inversion layer below the Twin Sisters from the Many Parks overlook. Photo © copyright by Thomas Mangan.